Adharsh Subramanian, a high school student from Southern California, shocked after seeing the devastation caused by Hurricane Maria, creates a non-profit, and organizes a benefit concert on September 22, 2018 in Irvine, to raise money for three organic farms on Puerto Rico. 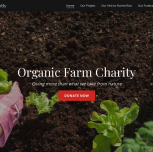 In February, Adharsh founded the non-profit organization Organic Farm Charity (OFC)with the goal of helping three organic farms. In June, Adharsh and his father, Dhandu, visited the three farms. They met with the owners of each farm and after hearing their stories and what each farm represented, they decided to hold two fundraisers: one online through GoFundMe, and the other a one-night only benefit concert to be held two days after Maria’s first anniversary. Govardhan Gardens, in Las Marias (near Mayagüez) is owned by Sadhu Govardhan. It was established in 1998, just after Hurricane Georges. Before the hurricane, Govardhan Gardens boasted the largest variety of fruit trees in the Caribbean. His trees came from all around the tropical world—including Southeast Asia, the Amazon and the Caribbean, and were sold to many individuals and businesses throughout the Caribbean. In Sadhu’s own words: “It took 20 years to amass such an impressive collection, but it took only a few hours to destroy it.” Sadhu needs $14,500. 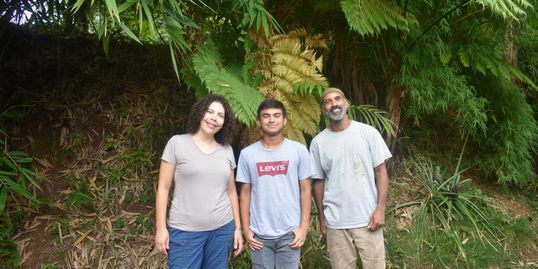 Founded by Magha Garcia—who was born and raised on Puerto Rico—in 2010, Pachamama Forest Garden sits on 13 acres in Mayagüez. 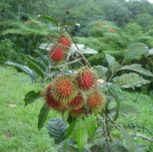 At this forest-farm, the existing wild vegetation as well as new edible crops and ornamental plants are integrated together. 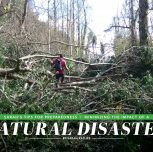 Not quite complete when Maria destroyed the majority of Pachamama Forest Garden, to rebuild this all-volunteer self-sustainable forest garden, Magha is requesting $11,000. Never feeling quite right in the corporate world, in 2008 Paul and Sarah Ratliff left their jobs in Southern California, where they worked for biotech giant Amgen, to buy an organic farm on Puerto Rico. 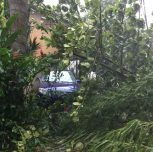 They bought a few goats, some bamboo and tropical fruit trees from Govardhan Gardens and just as many of those trees were finally starting to fruit, Hurricane Maria stole 80 percent of their farm. With intentions to feed themselves well into their old age, in order to rebuild Mayani Farms, this husband and wife team is needs $9,500. Adharsh created a campaign through GoFundMethat runs through November 2018. Additionally, Adharsh will hold a benefit concert on September 22, during the first anniversary of Hurricane Maria. The high school senior, who is also a jazz musician, will lead an orchestra consisting of other members of his high school jazz band. There will be a twist. Because the two fundraisers will benefit farms on Puerto Rico, Adharsh wanted a band from Puerto Rico to “represent” the farms devastated by the two-back-to-back hurricanes. With quite a local following, Alma+Gama performs Rock en Español and will fly to Los Angeles for the benefit concert. All the money raised through the GoFundMe campaign and the benefit concert will be donated to Govardhan Gardens, Pachamama Forest Garden and Mayani Farms.